CARIGARA, Leyte- The Department of Public Works and Highways-Leyte Second District Engineering Office allocated a total of P85 million for the construction of a concrete road leading to Villaconzoilo Agri and Ecotourism Farm and Silawa Falls, both in Burauen town. The project involves 3.5 kilometers with the width of 6.1 meters and thickness of .028 meters, including culverts, excavation and embankment. 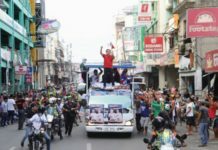 He added that this development will also open new opportunities to the community through the new income generating programs that will contribute to the growth of its economy. 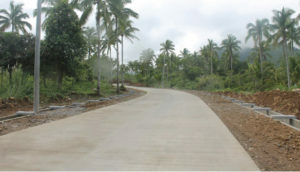 At present, the road to Villaconzoilo Agri and Eco-Tourism Farm, located in Barangay Villaconzoilo, is now accessible. 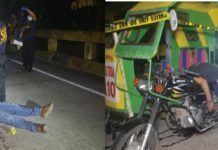 However, the road leading to Silawa Falls, also located in the same village about seven kms away from the town center, is still underway.